MyBB Forum on Free Heroku Cloud is a basic guide which will help most of the users to run MyBB Forum software with free SSL on Heroku Cloud in this text guide. 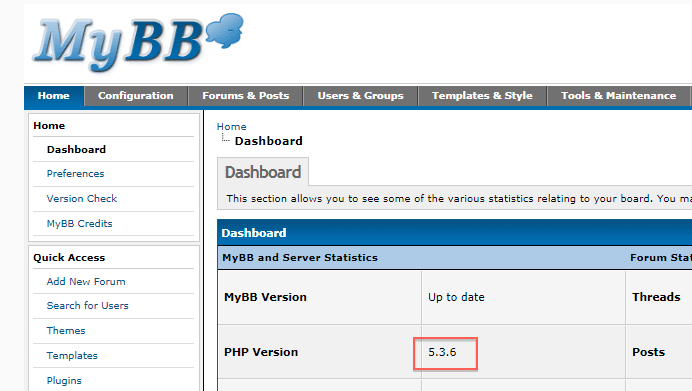 This a texual guide on Installing MyBB Forum on Free Heroku Cloud and over 70% users will able to follow. For those who an not follow, for them there will be a step by step video guide on how to install MyBB Forum on Free Heroku Cloud will free SSL. Those who will be reading this guide after few days or more after publication, please look this website by searching for the video guide. There are lot of guide articles on Heroku Cloud in this website. Please search with Heroku Cloud in the search box of this website. This is recommended for the fully new users. Heroku is a PaaS and has git access. If you signup as Facebook hosted app, you will get the SSL for free. That was demonstrated here on WordPress Heroku Blog as Facebook App guide with links. Those who have zero idea about git can read this guide. Move all the files from MyBB folder to root. Actually you will need a real webroot and other things which are not installed on Heroku. Read this Advanced Commands for Perfect Setup of Heroku to setup that part. Using alternative Heroku databases like we mentioned on Heroku Addons. Push it and normally install MyBB Forum on Free Heroku Cloud. Try yourself first. If you can not manage then see the video guide for all the commands. Business Cloud Computing means Return of Investment. You can either power your business with Cloud or use Cloud Computing for a new Business itself. EyeOS Open Source Development needs WordPress like community. EyeOS faked to be Open Source as Cloud OS, got thousands of backlinks and finally shown the color. Cite this article as: Abhishek Ghosh, "MyBB Forum on Free Heroku Cloud : Basic Guide," in The Customize Windows, January 7, 2013, April 26, 2019, https://thecustomizewindows.com/2013/01/mybb-forum-on-free-heroku-cloud-basic-guide/.